Pro Tools 2018 – New Productivity-Boosting Features! you’re all working together in the same studio. Simply invite any of your available connections to collaborate using built-in chat, or find new collaborators through the online Artist Community. Access to these features are currently in limited release to ensure the smoothest experience. Stay tunes for the wide public release coming soon. Processor-hungry virtual instruments can impact system performance with plug-in-heavy mixes. And sharing sessions used to require that everyone all have the same plug-ins used in the session. But no more. 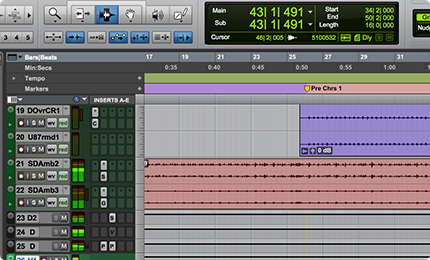 With Track Freeze, you can quickly freeze an entire audio, instrument, or auxiliary track to free up processing power. 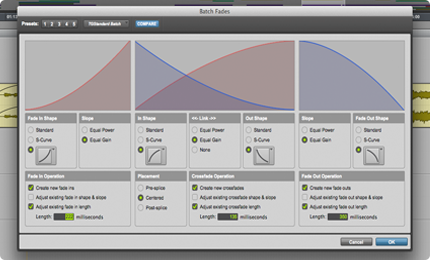 It also makes sharing sessions easy, as it eliminates requiring plug-in parity. 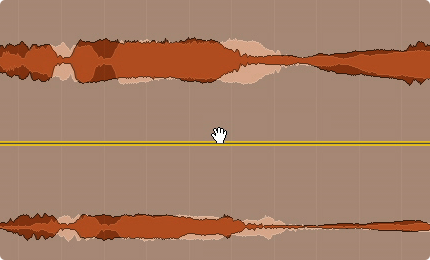 You can freeze all plug-ins on the track, or just up to a certain insert. And if further editing is needed, simply unfreeze the track with the click of a button. Track Commit is similar except it renders the track (or an edit selection) permanently, with a variety of flexible options available, making it ideal when prepping for a mix or for archiving sessions. 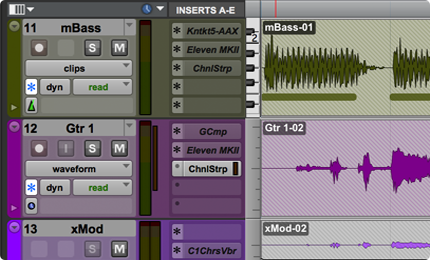 And with Track Bounce, you can render out stems, making file delivery super fast and easy. If you’re a sound editor or designer, precision and speed are paramount when it comes to aligning and editing clips. Now clips take on a translucent appearance whenever you move and overlap one over another, giving you better visual clarity of their context. This enables you to align the waveforms of a new audio clip to the visual cues of an existing one’s waveforms with much better precision and ease. Whether you’re new to Pro Tools or upgrading your existing system please call us for the best package that will suit your needs. Not only is the latest Pro Tools more powerful than ever, it also comes with access to all future new Pro Tools releases and 17 bonus plug-ins —free for 12 months with the included All Access plan. After the first year, renew your Annual Upgrade Plan to continue receiving access to upgrades. And add the Annual Plug-in and Support plan to maintain access to the bonus plug-ins, plus get support. Please call us for best prices. 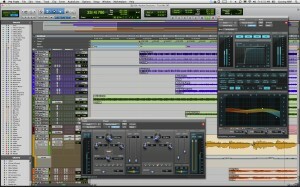 All Pro Tools new licenses and subscriptions, come with an All Access plan. Subscriptions come with the All Access Upgrade and Support plan, giving you access to all new Pro Tools releases and expert help throughout your subscription, plus access to an amazing bonus collection of high-quality effects and sound-processing plug-ins—at no additional cost. 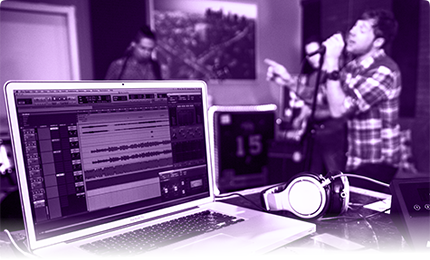 New Pro Tools perpetual license purchases include access to the bonus plug-ins for one year, plus an Annual Upgrade Plan, which provides all upgrades, renewable for for a fixed annual price. And if you need support, just add the new Annual Plug-in and Support Plan – please call us for best deals and prices. Although already supplying Digidesign products (Sound Designer,Sound Tools, Session & Session 8) since the mid 1980’s, Big Bear Sound first became an official Digidesign (Avid) dealer in 1994 – at that time supplying (and supporting) Pro Tools MIX|24 systems, the first Digi 001 and 002 native systems, and launching Pro Tools HD onto the Irish market. Since then Avid have expanded their scope dramatically – and we have kept apace. In 2005 Big Bear Sound became Ireland’s sole distributor for the newly-launched Avid VENUE range of live mixing consoles, supplying several of the revolutionary large-format D-Show consoles to venues and broadcasters around the country. Later, the VENUE Profile and SC48 systems quickly became the industry standard and very popular among live venues, touring productions and events / rental companies. 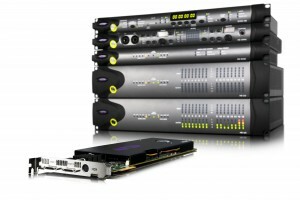 During Avid’s ownership of M-Audio, Big Bear Sound exclusively distributed the M-Audio range of audio & MIDI interfaces, keyboards and speakers in Ireland. Following Avid’s acquisition of the Sibelius brand, in 2010 Big Bear Sound became the exclusive Irish distributor for the Sibelius range of music notation and educational software. 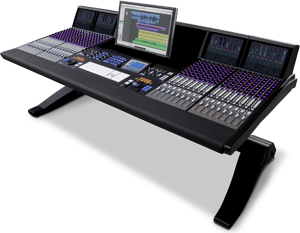 As the main Irish dealer for Euphonix, having supplied and installed several high-end Euphonix System 5-MC and MC-Pro control surfaces, as well as the new Artist Series controllers, Big Bear Sound was well-positioned to continue with these products when Avid later acquired Euphonix and began to integrate these into its own audio and video systems. We also offer many Avid software products and systems at exceptional price points for qualifying educational institutions, teachers and students, and can help with some of the particular requirements of the education sector, e.g. software multi-user licensing, upgrades and deployment, teacher training, security options. 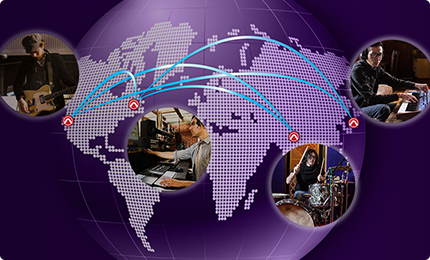 With our own in-house technical support staff, (trained at Avid’s centres both in Dublin and at Pinewood Studios, London), and in close contact with Avid’s own technical dept, Big Bear Sound offer friendly and knowledgeable support for the many questions and issues that can arise from these increasingly complex and widely-used platforms. We serve every level of the audio and video production, live sound and broadcast fields, from musicians in bedroom studios through to commercial recording studios and broadcasters, and major live & touring events. Big Bear Sound regularly host events in conjunction with Avid – new technology launches, industry seminars, expert masterclasses – please see “News” for upcoming dates. We also maintain several demo systems at our premises, for proper “hands-on” demonstrations of the hardware and software, plugins, control surfaces etc. – please see “Demo Facilities” for details.